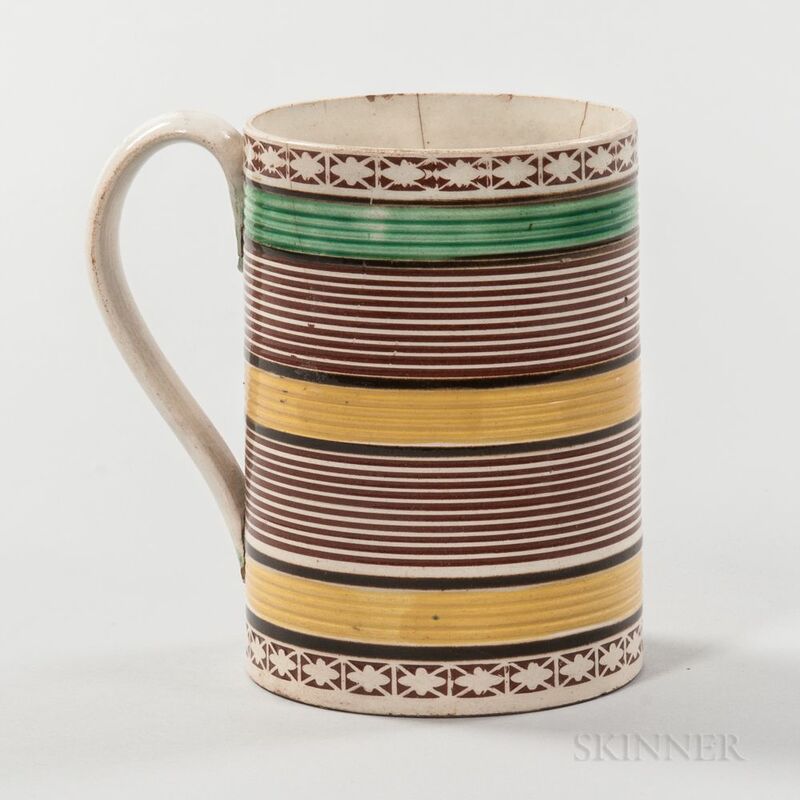 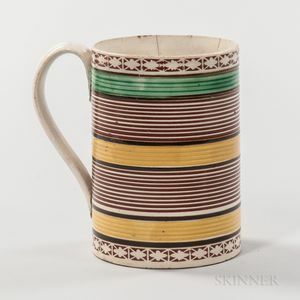 Mocha Creamware Pint Mug, England, c. 1800, banded with multiple thin black bands and with three glazed rouletted bands, one with green glaze, two with yellow glaze, and an unusual rouletted and slip-inlaid band at the top and bottom, strap handle with foliate terminal, ht. 4 7/8 in. 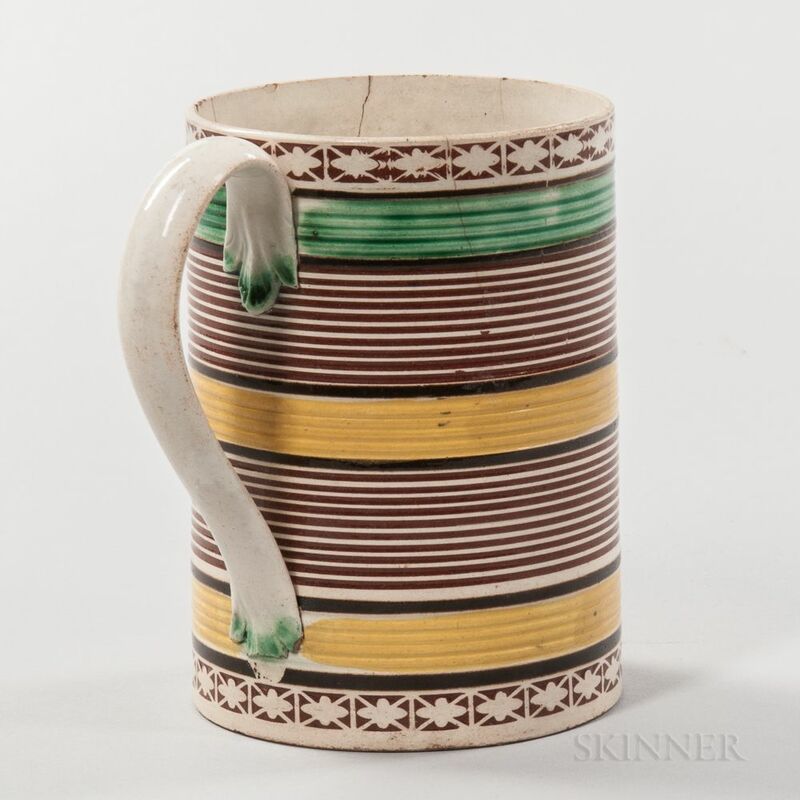 Four hairline cracks in the rim, the longest to 1 7/8 in.